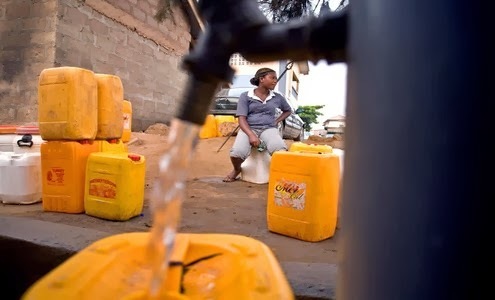 Residents of Ashaiman have been advised not to lose out on the ongoing Greater Accra Metropolitan Area (GAMA) Sanitation Water Project aimed among other things to provide households with toilet facilities at half price. The project, which is being funded by the World Bank, commenced in August 2014 and expected to end in July 2018 in beneficiary Municipal and Metropolitan areas in Greater Accra Region including Ashaiman. The project was supposed to also increase access to improved sanitation and water supply in the GAMA with emphasis on low income communities. GAMA Sanitation and Water Project would also strengthen the management of environmental sanitation. Mr Albert Boakye Okyere, Ashaiman Municipal Chief Executive, in a sessional address during the Assembly’s Ordinary Meeting, said there was the need for continuous vigorous sensitization among residents to ensure that the Municipality does not lose the donor funds as the project’s deadline draws near. Mr Okyere added that “vigorous community sensitization is currently on-going in the communities to ensure the enrolment of at least 500 households in the construction of household toilets by the end of this year”. He added that 20 institutions in the Municipality were benefiting from the project as they were being provided with institutional toilets. The Municipality, he noted, under the project was currently constructing a drainage at Tulaku a nd Middle East. Touching on similar projects Ashaiman was benefiting from, he noted that the Municipality was among three communities benefiting from a pilot project funded by United Nations Children’s Fund (UNICEF) called Urban Sanitation Project. The goal of the project was to improve the survival and health of urban children in Ghana through improved Water, Sanitation and Hygiene (WASH) services and hygiene practices. Mr Okyere noted that three out of the earmarked eight institutional toilets had been completed while the remaining five were near completion. The project, which would in effect reduce open defecation and halt the spread of diseases, had also seen the construction of 88 households’ toilets with 184 more to commence.